A virus spreads and infects all but a few. With zombies everywhere, all you need to do is kill the virus before they infect you!! 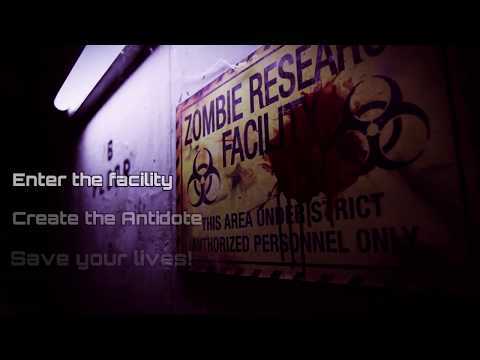 You and your team have a mission: enter the lab, work together as scientists to make an antidote and use it before the zombies break in. Sadly we couldn't manage to make the antidote in time but undoubtedly it was fun. Staffs were great too. We were worried at first. Couldn't come up with the right combination of stuffs needed for the antidote. But something kept us going and we finally got the antidote made and it felt like we had accomplished something great. It was fun indeed.. The zombie outbreak was amazing! Stuffs were exceptionally nice and we thoroughly enjoyed our experience. This would be my favourite escape Room in London. Immediately after it finished, I wanted to experience it all over again, it was unique and really immersive! This was my third escape room experience. Since we love zombie films so we picked 'zombie outbreak' and it didn't disappoint us a bit. I wouldn't like to give the details as this would spoil the experience. A big thank you to the host for looking after us. Well organized and very well thought. I would strongly recommend this place for any kind of parties or day outs as well as team building exercises. Me and my brother booked this for our sister's birthday! We are so glad we did. She loved it. Amazing escape room, Both fun and challenging at a time. Surely recommended. It is tough to make that antidote within an hour. But let you feel like a real scientist. I was with my crew. Worked as a team. And managed to complete the mission successfully.